Burma's main opposition party, the National League for Democracy (NLD), on Monday decided against registering for the general election this year, a party spokesman told The Irrawaddy. The party's 92-year-old party chairman, Aung Shwe, who recently voiced support for the party registering and taking part in the election, did not join in the meeting, but instead sent a letter stating that he would follow Suu Kyi's decision, according to the party spokesman. “U Tin Wai from Kachin State expressed his opinion on party registration, but accepted the majority decision,” said Ohn Kyaing, a party official. The election laws prohibit parties from having members who are currently in detention, so a decision to register would have forced Suu Kyi out of the party. About 50 party members wearing white T-shirts bearing a slogan saying “No” gathered in front of the party compound. Female party members were also reportedly holding a large green gourd presented to them by Suu Kyi last Tuesday through her lawyer. The word “No” is said to have been written on the gourd. Although security was heightened with four riot police trucks deployed near the party headquarters, there were no reports of harassment of NLD leaders by the authorities. Before the meeting, several township representatives and party youth leaders declared that they will stand by Suu Kyi's stance against registration, claiming that they can still struggle for democratic rights without a political party. The party decision would appear to ensure that the NLD will cease to exist as a legal entity as of the May 7 deadline for party registration, according to the election law. Many observers are currently speculating what will become of the party after it ceases to be a valid political entity, and what kind of action the regime will take against the NLD's leadership and its party members. A political analyst in Rangoon, said that what the NLD does after May 7 would depend on the wit and wisdom of the party leaders at the local level. In Suu Kyi's statement, she said that the party will not come to an end, and she also relayed a message to the Burmese people saying that she will continue her efforts for democracy. Last week, Suu Kyi reportedly told her lawyers that if the imprisoned former student leader Min Ko Naing could fight for democracy in Burma without a political “signpost,” she could do the same. 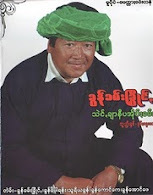 Charismatic Min Ko Naing and several student activists of the 88 Generation Students group were arrested in 2007 and sentenced to lengthy prison terms. The election laws bar more than 2,000 political prisoners from taking part in the election which junta chief Snr-Gen Than Shwe described as “the very beginning of the process of fostering democracy” in his speech on Armed Forces Day in Naypyidaw on Saturday. No date has been announced for the upcoming election, which critics have called a sham designed to keep the military in power through the facade of an elected government. The NLD won a landslide victory in Burma's last election in 1990, but the results were never honored by the regime. Party leader Suu Kyi is currently serving an 18-month term of house arrest. With her sentence due to expire in November, Suu Kyi would not be released before the polls expected in October.